Apps are the strategy upon which business has staked its digital survival. Whether it’s apps that help connect businesses to their customers or apps that help employees do their jobs – it is important to make sure apps are always available and secure, anywhere. In 2018, the smartest companies will operate in an app-centric way and build services with the balance of speed and security at the heart of their customer’s experience. Businesses will need to think about why they want to move apps, who needs access, what they want to do with them, and how are they are going to deliver (and secure) them. I would like to interest you with a private luncheon co-hosted by Glen Francis, CIO Academy Asia and François Locoh-Donou, President, Chief Executive Officer, and Director, F5 Networks. This private luncheon discussion gathers industry CXOs to hear from François Locoh-Donou, who will share insights on app-vancement journey (building the right culture for the app age), and how companies can leverage to go faster, safer and smarter. 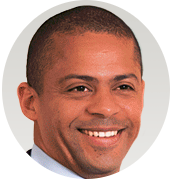 François Locoh-Donou is F5’s President, Chief Executive Officer, and a member of the Board of Directors. He joined F5 in April 2017, bringing to the office nearly two decades of enterprise technology experience building a wide range of products, teams, and operations around the world. Locoh-Donou previously held successive leadership positions at Ciena, the network strategy and technology company, including Chief Operating Officer; Senior Vice President, Global Products Group; Vice President and General Manager, EMEA; Vice President, International Sales; and Vice President, Marketing. Prior to joining Ciena, he held research-and-development roles at Photonetics, a French opto-electronics company. He holds engineering degrees from École Centrale de Marseille and Télécom ParisTech in France and a M.B.A. from the Stanford Graduate School of Business.